Welcome to Day 964 of our Wisdom-Trek, and thank you for joining me. Thank you for joining us today for our five days per week wisdom and legacy building podcast. 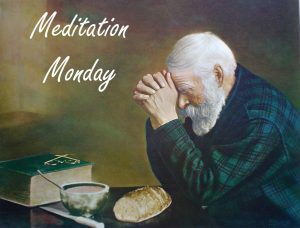 This is Day 964 of our trek, and it is time for Meditation Monday. Taking time to relax, refocus, and reprioritize our lives is crucial in order to create a living legacy. David sees what others don’t and refuses to see what others do. All eyes, except David’s, fall on the brutal, hate-breathing hulk. 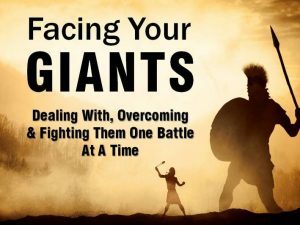 All eyes, except David’s, are set on the Giant of the Philistines. All journals, but David’s, describe day after day in the land of the Neanderthal. The people know his taunts, demands, size, and strut. They have focused solely on Goliath. You might say that David knew how to get ahead of his giant. When was the last time you did the same? How long since you ran toward your challenge? We tend to retreat, duck behind a desk of work, or crawl into a nightclub of distraction or a bed of forbidden love. For a moment, a day, or a year, we feel safe, insulated, anesthetized, but then the work runs out, the liquor wears off, or the lover leaves, we hear Goliath again. Booming. Bombastic. Try a different approach. Rush your giant with a God-saturated soul. 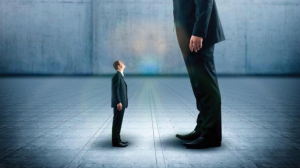 Giant of divorce? You aren’t entering my home! Giant of depression? It may take a lifetime, but you won’t conquer me! Giant of alcohol, bigotry, child abuse, insecurity…You’re going down! How long since you loaded your sling and took a swing at your giant? Too long, you say? Then David is your model. God called him as is mentioned in Acts 13:22, “But God removed Saul and replaced him with David, a man about whom God said, ‘I have found David son of Jesse, a man after my own heart. He will do everything I want him to do.” He gave this designation to no one else, not Abraham or Moses or Joseph. He called Paul an apostle, John his beloved, but neither was tagged a man after God’s own heart. One might read David’s story and wonder what God saw in him. The fellow fell as often as he stood, stumbled as often as he conquered. 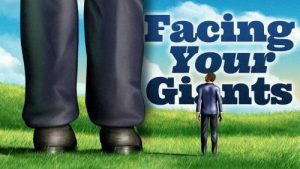 He stared down Goliath, yet ogled at Bathsheba; defied God-mockers in the valley, yet joined them in the wilderness. An Eagle Scout one day and humming with the Mafia the next, he could lead armies but couldn’t manage a family. Raging David. Weeping David. Bloodthirsty. God-hungry. Eight wives. One God. 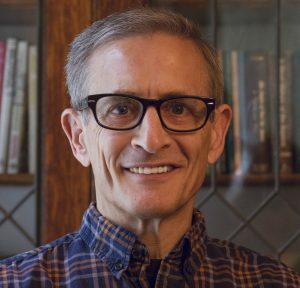 A man after God’s own heart? The fact that God saw him as such gives hope to us all. David’s life has little to offer the unstained saint. Straight-A souls find David’s story disappointing. The rest of us find it reassuring. We ride the same roller coaster. We alternate between swan dives and belly flops, soufflés and burnt toast. Giants. We must face them. Yet we need not face them alone. Focus first, and most, on God. 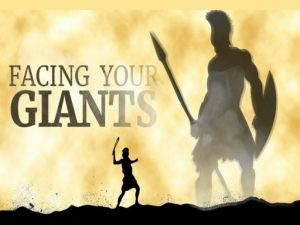 The times David did, giants fell. The days he didn’t, David fell. Next week we will continue our trek on Meditation Monday as we take time to reflect on what is most important in creating our living legacy. On tomorrow’s trek, we will explore another wisdom quote. This 3-minute wisdom supplement will assist you in becoming healthy, wealthy, and wise each day. Thank you for joining me on this trek called life. Encourage your friends and family to join us and then come along tomorrow for another day of our Wisdom-Trek, Creating a Legacy. 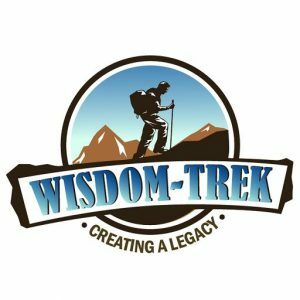 If you would like to listen to any of the past 963 daily treks or read the daily journal, they are available at Wisdom-Trek.com. I encourage you to subscribe to Apple Podcast and Google Play so that each day’s trek will be downloaded automatically.